The Master Cleanse is a lemon juice diet with a basic recipe that includes, lemon, filtered water, cayenne pepper and maple syrup. The ingredients in the juice are specifically designed for body cleansing, nourishment, and weight loss. The originator of the Master Cleanse, Stanley Burroughs, first recommended the cleanse to a patient of his who had stomach ulcers. After completing the 10-day fast, the patient was completely healed of the ulcers. Since then, many other cases followed with significant results in healing and a side benefit was often weight loss. However, in most cases the weight loss was quickly regained after the diet. Burroughs later wrote the book, “The Master Cleanser,” which outlines his program in detail. Over the years, the Master Cleanse has been tested and acclaimed by thousands of users around the world. Thus, many health advocates believe it is the most successful cleansing fast. Since the original Master Cleanse became popular, there have been several versions of a lemon juice diet that have been promoted by various practitioners. In general, I believe regular body cleansing is absolutely essential to optimal health and disease prevention. In my experience, it is just as important as healthy eating, exercising, drinking enough water daily, positive thinking, restful sleeping, and stress management. Even though our bodies have a highly efficient detoxification system, we are ingesting, breathing, and drinking far more toxins on a daily basis – through polluted air, water, food – than ever before. Most of the personal care products we use on our skin and hair, teeth, also contain tens of thousands of untested chemical toxins. Did you know that about 80 percent of the function of our immune system is based in our G.I. tract.? Keeping the colon clean and functioning well—that means eliminating waste completely 1 to 3 times a day—is essential to your health. As a health consultant, I am seeing gastrointestinal disorders on the rise, especially with young adults. I believe the primary cause for this is that young people seem to be experiencing higher levels of stress in their lives. Other causes are most likely the cumulative effect of poor diet, environmental toxins, lack of exercise, and/or negative mental attitudes. The bottom line is that I think we all need all the help we can get when it comes to body detoxification. I have to agree with Dr. William J. Yarwood, who said: “All diseases are nothing more than different expressions of toxicity." "Which type of body detoxification is right for me?" There are many options, ranging from juice fasts, such as a lemon juice diet, to colon hydrotherapy, water therapy, far infrared saunas, whole food diets, toxin elimination diets, and so forth. I have only done the lemon juice diet once, several years ago, so I don’t pretend to be an authority on this topic. However, I have friends and clients who swear by it. One friend in particular has done the Master Cleanse several times. She said the first 3 days are hard, but after that she felt energized and liberated from food for the duration of the fast. Since there are several sites online devoted to the Master Cleanse, I am not going to go into all the details of the diet and the cleanse, but I will recommend a few of the best resources at the end of this article. I am not inclined to do the Master Cleanse again, mainly because I do not feel it is the best type of cleanse for me. And I would never choose a lemon juice diet if my main objective was to lose weight. Over the years, I have tried numerous other detoxification protocols and have found things that work best for me. I encourage you to do the same. I think it is wise to try to do things on a daily basis that help with detoxification, such as drinking enough water, eating enough fiber (fruits, vegetables, nuts and seeds), sweating, deep breathing, and so forth. Even so, I still believe it is highly beneficial and necessary to do a colon and/or full body cleanse every 3 to 6 months or so. The cleanses I prefer at this time are the GHC oxygen-based body cleanses. They are much easier for most people to do and are highly effective. I also recommend drinking at least one glass of lemon water every day (or at least 3 times a week) and to drink half your body weight in ounces of filtered water. In addition to periodic cleanses, it is important to reduce your daily exposure to toxins to the best of your ability. I refer to this as the Toxin Elimination Diet and it is a process that can take weeks, months or even years. Use toxin-free personal care products and non-toxic household cleaning products (or make your own). Please note that reducing your exposure to environmental toxins is an ongoing process that involves self-education and may require some level of investment (such as for a home drinking water filter and air filter). But for the most part, it is more about knowing your options and making healthier choices in the food and products your purchase. In many cases you will save money. In summary, thousands of people have experienced significant benefits from doing the Master Cleanse. If you decide to try it, I encourage you to thoroughly educate yourself first rather than just jumping into it. Also, easing into the diet (3 days prior) and exiting out of the diet (the 3 days following) is just important as the cleanse itself. Be sure to follow the recommendations in the Master Cleanse books or online for this part of the program. 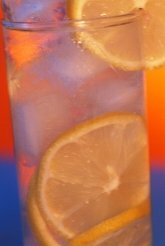 I do NOT recommend a lemon juice diet if your primary goal is to lose weight. You most likely will lose weight if you do it for 10 days, but you will also most likely gain it all back. It is not a sustainable fat loss program. I highly recommend that you read the following two books if you are considering this Master Cleanse. Click here to see them at Amazon.com. The Master Cleanser: With Special Needs and Problems; Stanley Burroughs;1993. The Complete Master Cleanse: A Step-by-Step Guide to Maximizing the Benefits of the Lemonade Diet; Tom Woloshyn; 2007.